The Vachanamrut is a principal scripture of the Swaminarayan Sampraday. It is a compilation of 273 spiritual discourses delivered by Bhagwan Swaminarayan from 1819 CE to 1829 CE. It is a catechism filled with infallible logic, illuminating analogies and metaphors, and divine revelations that provide philosophical and practical answers to the deepest mysteries and questions of life. Whether you want to overcome anger or understand the nature of God, whether you want to eradicate jealousy or know whose company to keep, whether you want to recognise a true guru or develop faith in God, the Vachanamrut can enlighten you. It is the essence of the Hindu scriptures based on the spiritual knowledge, spiritual insight and practical experience of Bhagwan Swaminarayan, the Supreme Reality Himself. This English rendering of the original Gujarati revelations will guide aspirants throughout the world in their spiritual journey to final redemption. Bhagwan Swaminarayan was one of the principal torchbearers of Hinduism in 18th century Gujarat Born on April 3, 1781, in me small village of Chhapaiya in northern India. He displayed divine powers during His childhood. By the age of 10, He mastered the Hindu scriptures. At the age of 11 He renounced His home to embark on a 7 year sojourn on foot across the length and breadth of India the age of 14, He mastered ashtang-yoga. Eventually settling in Gujarat at the age of 18. He spent the remaining three decades of His life transforming the lives of countless people He ushered in a moral and spiritual 3, renaissance in Gujarat through a legion of 3000 sadhus. 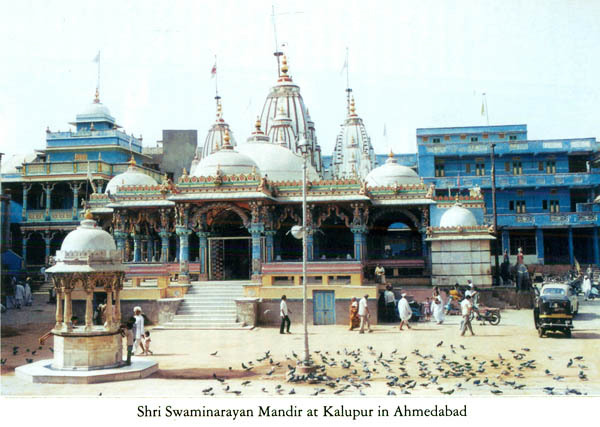 Bhagwan Swaminarayan and His sadhus campaigned against and abolished the custom of widow burning. 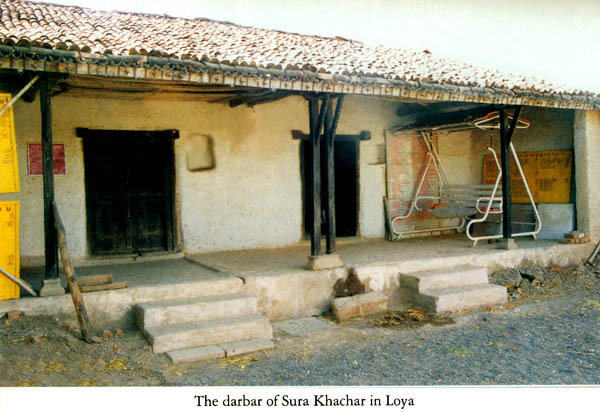 Female infanticide and other vices in society In the Shikshapatri He prescribed a moral code of conduct for His disciples and through the Vachanamrut enlightened them with the essence of scriptural knowledge Having redeemed human till 1830 Bhagwan Swaminarayan promised to remain ever present on this earth through a succession of God realised gurus Today H D H Pramukh Swami Maharaj the fifth successor is faithfully promoting the spiritual tradition of Bhagwan Swaminarayan. Cover: Bhagwan Swaminarayan delivers a discourse beneath the neem tree in the courtyard of Dada Khachar’s darbar in Gadhada. Before Him are Aksharbrama Gunatitanand Swami Brahamanand Swami and the four paramhansas, namely Gopalanand Swami, Muktanand Swami, Nityanand Swami and Shukanand Swami who noted His discourses fled them into the Vachanamrut. Purna Purushottam Bhagwan Swaminarayan, in order to liberate innumerable people and to establish ekantik dharma, incarnated along with His divine abode, Gunatitanand Swami, and countless muktas. He initiated 500 sadhus who, in addition to renouncing both women and wealth, abided by the five vows of non-lust, non-avarice, non-taste, none—attachment and non- egotism. So that upasand remains eternally on earth, He built mandirs. Also, He instructed Pujya Muktanand Swami and other _ sadhus to author scriptures narrating the life of their ishtadev, Bhagwan Swaminarayan Himself. So, in order to strengthen the faith and conviction of thousands of aspirants and allow them to attain ultimate liberation, the sadhus authored scriptures. The Vachanamrut is ‘amrut’ in the form of the words of Bhagwan Swaminarayan. 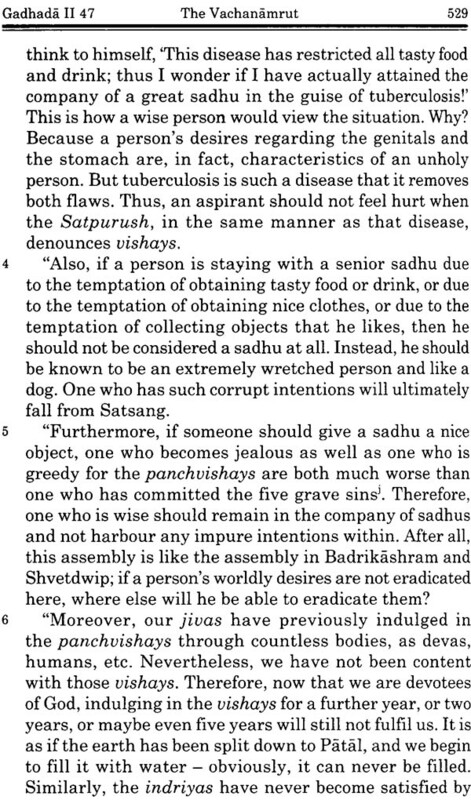 The teachings and principles uttered by Bhagwan Swami—narayan in assemblies at Gadhada, Sarangpur, Kariyani, Loya, Panchala, Vartal, Amdavad and other places had been compiled by the sadhus so that all can partake of that ‘amrut’. From that compilation they created a thorough scripture; and ‘amrut’ in the form of those words is the Vachanamrut, which all devotees read daily. From the Vachanamrut, one realises atma-Paramatma, Brahma-Parabrahma, Akshar- Purushottam, Swami-Narayan. That is, one identifies one’s self with Akshar and worships Purushottam, thereby attaining the eternal, lustrous and divine Akshardham of Purushottam Narayan. Also, dharma, gnan, vairagya and bhakti coupled with the knowledge of the glory of God — that is, ekantik dharma — are strengthened. One becomes free from desires and free from the influences of maya, thus eternally remaining in the service of Maharaj. One also attains eternal bliss. 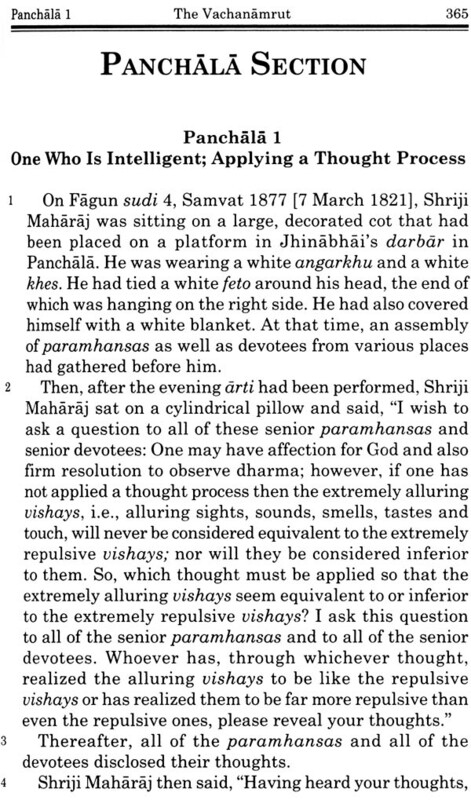 Such is the tremendous glory of the Vachanamrut. Its words are the divine words of Bhagwan Swaminarayan. It is the essence of all scriptures. It serves to uplift, benefit and liberate all people. Previously, Shri Harshadbhai T. Dave had translated this glorious and liberating Vachanamrut into English so that all those living both in India and abroad benefit. And now, a team of sadhus has re-translated the scripture. After all, in this day and age, only if such a scripture is available in English will people living abroad benefit. English is an international language. Due to such a translation, the divine words of Bhagwan Swaminarayan become available to people of all countries of the world. Also, youths, devotees as well as scholars in both India and abroad will benefit. So, realizing the importance of such a glorious scripture, everyone should read the Vachanamrut daily and study it deeply. Also, all should inspire others to read and study it, which is a great service to others. By doing this, Maharaj, Swami, Shastriji Maharaj and Yogiji Maharaj will be pleased. One will also attain peace, bliss in life and the divine Akshardham of Maharaj. The Vachanamrut is a collection of 273 discourses (the last 11 additional discourses are accepted only by the Amdavad diocese) delivered by Bhagwan Swaminarayan during the last ten years of His life, between 1819 CE and 1829 CE. These discourses were compiled by four of His pious and scholarly renunciants: Gopalanand Swami, Muktanand Swami, Nityanand Swami and Shukanand Swami. The scripture encapsulates the very essence of the principles and philosophy of the Swaminarayan Sampraday and is thus most foundational. 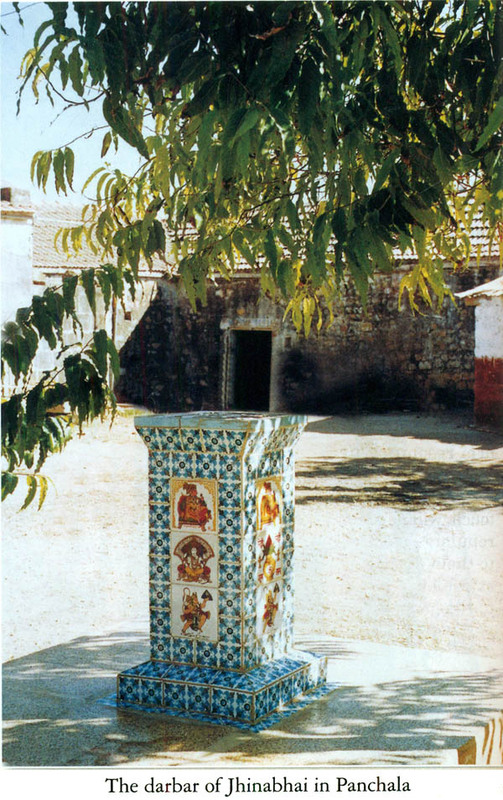 The scripture is divided into 10 sections, based on the various villages in which discourses were delivered. 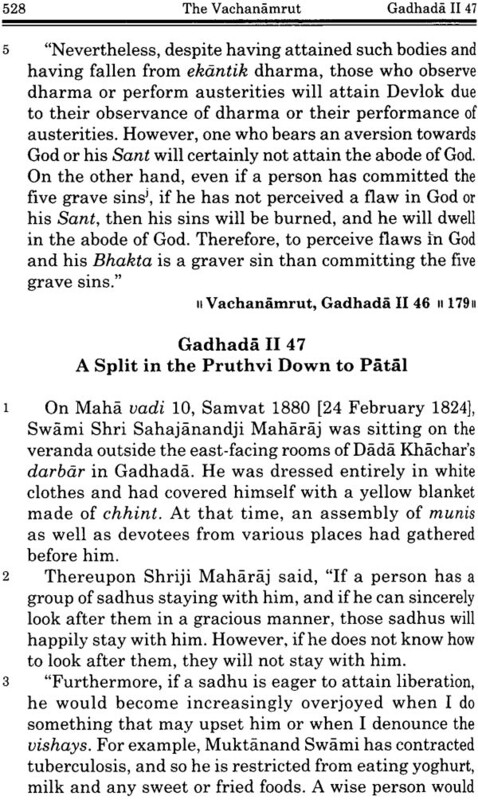 The sections are chronological in order and are named as follows: Gadhada I, Sarangpur, Kariyani, Loya, Panchala, Gadhada II, Vartal, Amdavad, Gadhada III and finally Additional Vachanamruts. Within each section, individual Vachanamruts are arranged in chronological order and are numbered sequentially. 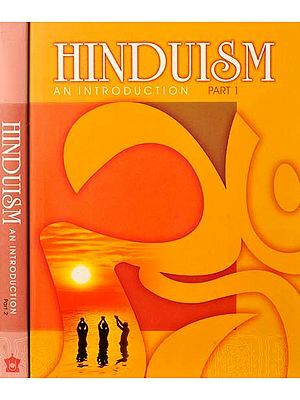 Each Vachanamrut begins with an introductory paragraph taking the reader back in time to the exact environment in which the discourses were held, thereby mentally preparing him for the profound wisdom that is to come. The compilers meticulously — and ingeniously — detailed all of the major aspects of the setting of the assembly, even at the risk of sounding repetitive. Invariably, they mention the date, the month, the year, the V village, the location within the village, as well as the audience seated in the assembly. 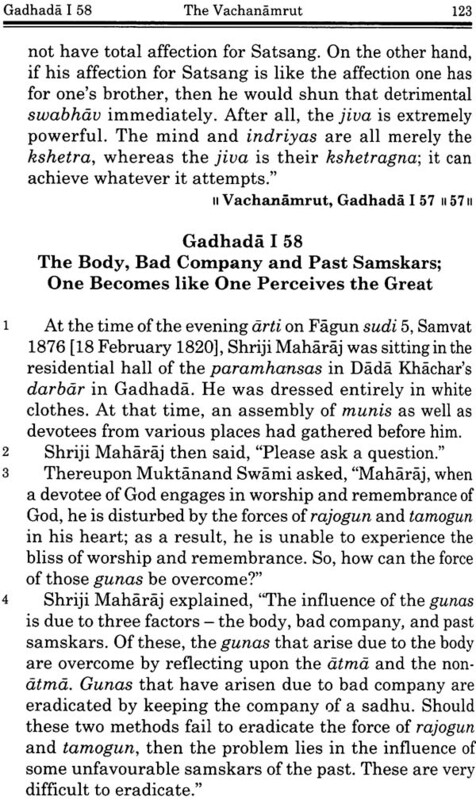 In many instances, they even mention the time of day and the direction in which Bhagwan Swaminarayan was seated. In many instances, they have even described the seat upon which He was seated as well as the dress and adornment of Bhagwan Swaminarayan at the time. Primarily, the reason for their meticulousness was that they were convinced of His divinity. They understood that the assembly was not an ordinary, worldly assembly of people, but a divine assembly presided over by the Supreme God Himself. After all, much more than anything else, divinity is worthy of being recalled perfectly. From a scholarly point of view, this introductory paragraph adds a stamp of authenticity to the scripture. 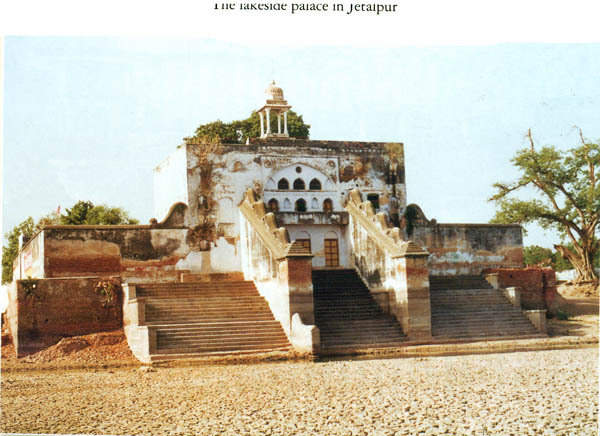 In the words of an eminent Gujarati scholar, Mr. Bhogilal Sandesara: “Among all these scriptures [the scriptures of Buddhism, Jainism, Ramanujacharya, Vallabhacharya and other acharyas] the position of the Vachanamrut is unique because the discourses of Bhagwan Swaminarayan were compiled verbatim. 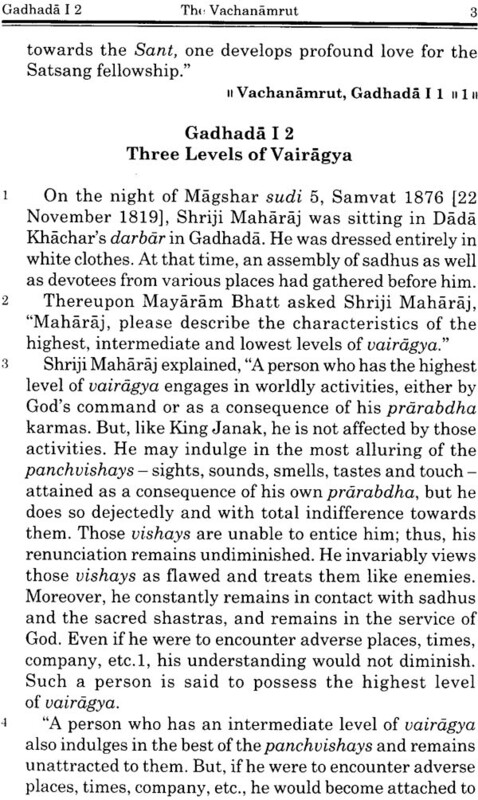 There is a reference to the place and time of the discourses; a note of the year, month and day; a description of Bhagwan Swaminarayan garments and even the names of the people participating in the dialogues are mentioned. Thus, there is no room for interpolation? 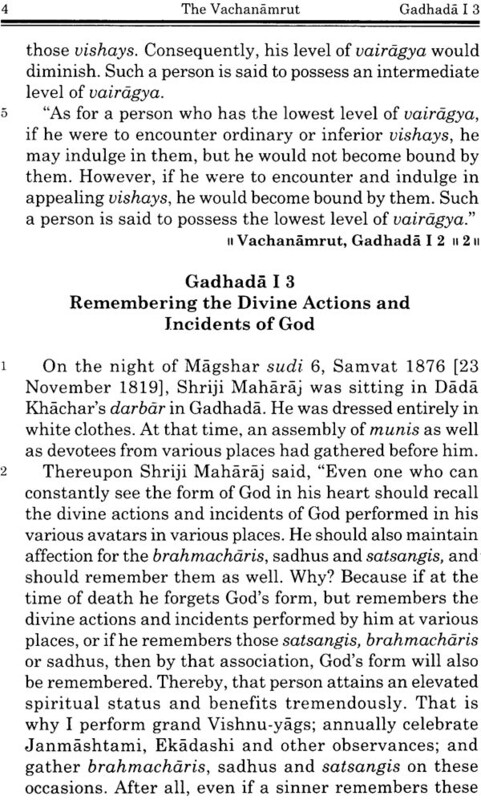 If the introductory paragraph of the Vachanamrut renders the scripture unique, the method of imparting spiritual wisdom is no less unique. Instead of opting for a monologue, preaching style, Bhagwan Swaminarayan delivered His discourses in the form of a dialogue — much like the method used by the sages in the Upanishads. At times, Bhagwan Swaminarayan would pose a question to the members of the assembly, or sometimes He would ask the assembly to pose a question to Him. On other occasions, members of the assembly would ask a question directly. In His assemblies, all were free to question and even to counter-question, regardless of whether they were scholarly renunciants or ordinary householders. 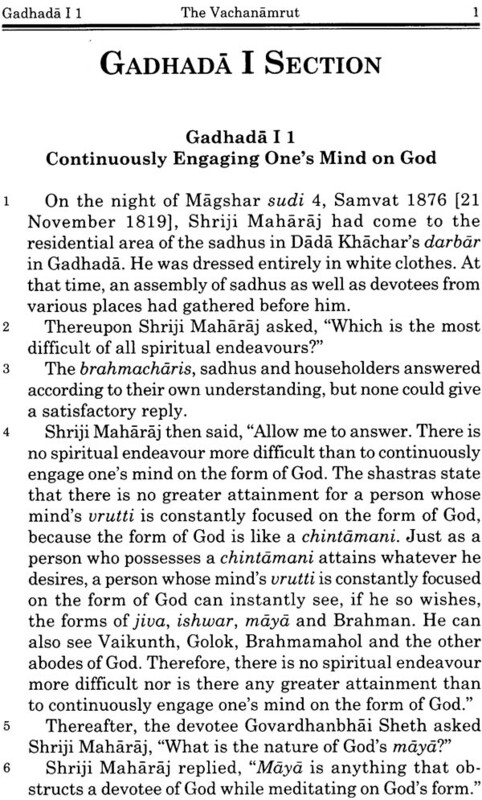 Keeping in mind this question-answer method and the fact that many of the members of the assemblies were great scholars themselves, one can imagine the thoroughness of Bhagwan Swaminarayan knowledge on the subjects discussed. 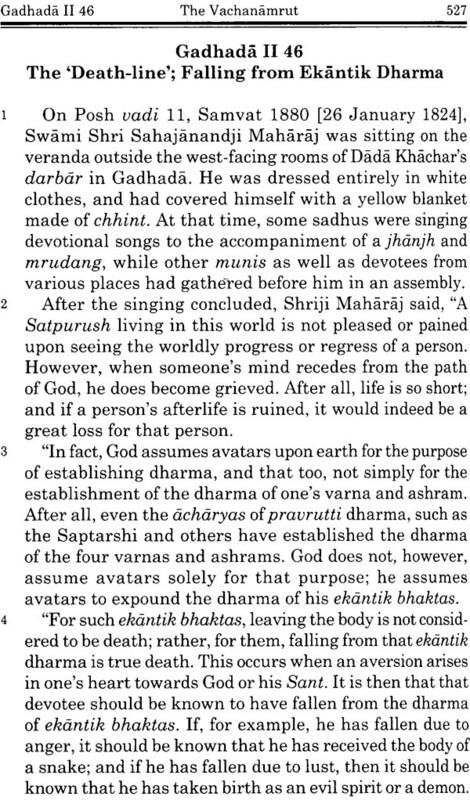 The issues raised in the Vachanamrut are quite varied, ranging from deeply philosophical and theological subjects, such as the nature of God, creation of the cosmos, clarifications of the classical Hindu philosophies of acharyas such as Shankar, Ramanuj, Vallabh and others; to more spiritually practical subjects such as the liberation of the soul, good and bad company, as well as the means of attaining eternal happiness. Since the topics discussed have no relation to the ordering of the Vachanamrut, the reader need not read the scripture sequentially. 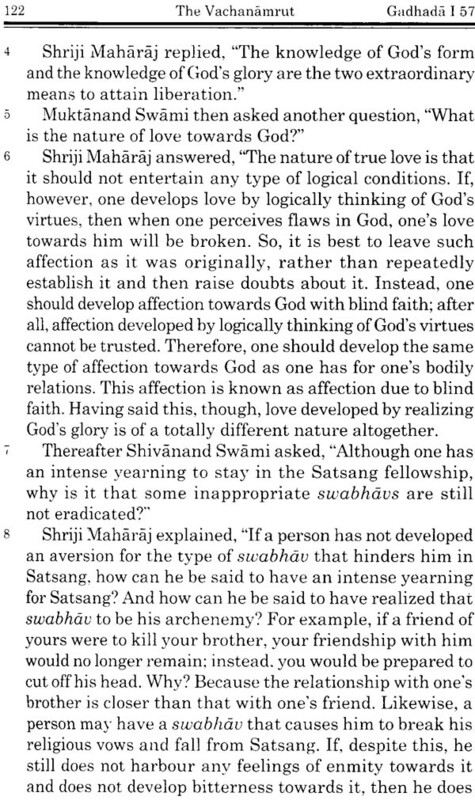 Regardless of the subject, though, Bhagwan Swaminarayan had the gift of lucidly and elegantly explaining complex concepts through simple day—to-day examples. In fact, even the villagers sitting in the assembly were able to grasp profound philosophical concepts due to His simple language and meaningful examples. The Vachanamrut is also an authoritative scripture in as much as it was spoken by God Himself and written down at the same time. In fact, it was even reviewed and approved by Bhagwan Swaminarayan during its compilation, a fact evident in Vachanamrut Loya-7.2. Moreover, the fact that the concepts expounded in the Vachanamrut are based on Bhagwan Swaminarayan’s own personal experience gives it an added note of authority. 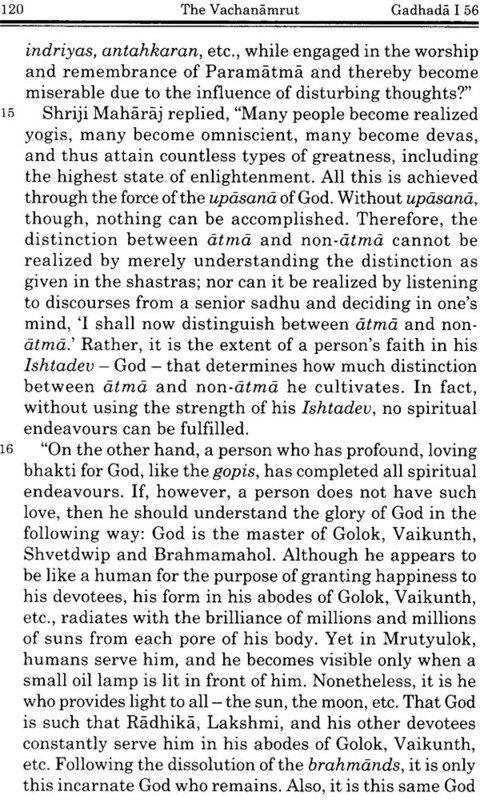 In fact, He states in Vachanamrut Gadhada III- 39.16: “I deliver these discourses to you not from any imagination of my mind nor to display any sort of aptitude. I have experienced all that I have spoken about. In fact, I speak in accordance to what I practise." The Vachanamrut can also be considered to contain the essence of all of the scriptures concerned with spirituality. Why? Besides the fact that the words were spoken by the supreme Reality Himself, Bhagwan Swaminarayan had studied the scriptures thoroughly, had mastered Ashtang—Yoga and had also scrutinised the beliefs and practices of people throughout India. Thus, when He spoke, it was from a base of profound scriptural Wisdom, advanced spiritual insight and vast practical experience. In the Vachanamrut, He has quoted verses from the Vedas, the Shrimad Bhagvat and other Purans, the Upanishads, the Gita as well as other parts of the Mahabharat. In fact, in Vachanamrut Gadhada II-28 Bhagwan Swaminarayan has gone so far as to say: “I have delivered this discourse having heard and having extracted the essence from the Vedas, the Shastras, the Purans and all other words on this earth pertaining to liberation. This _ is the most profound and fundamental principle; it is the essence of all essences." On a more scholarly plane, the Vachanamrut is also the first literary work of prose in the Gujarati language, thus providing a good specimen of the culture and speaking style of the Gujarati language two centuries ago. It is a generous gift of Bhagwan Swaminarayan to Gujarati literature. 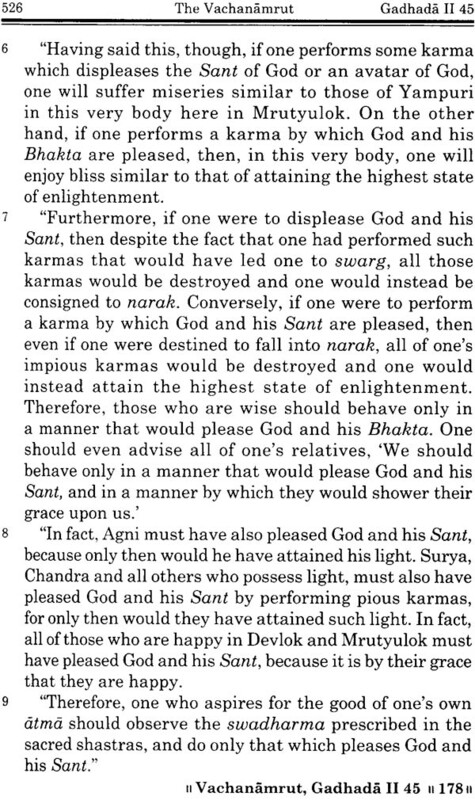 Having read the above, one can better grasp why the compilers named it the Vachanamrut. After all, it is in essence nectar, “amrut’, in the form of words, ‘vachan’, from the mouth of the Supreme God Himself. 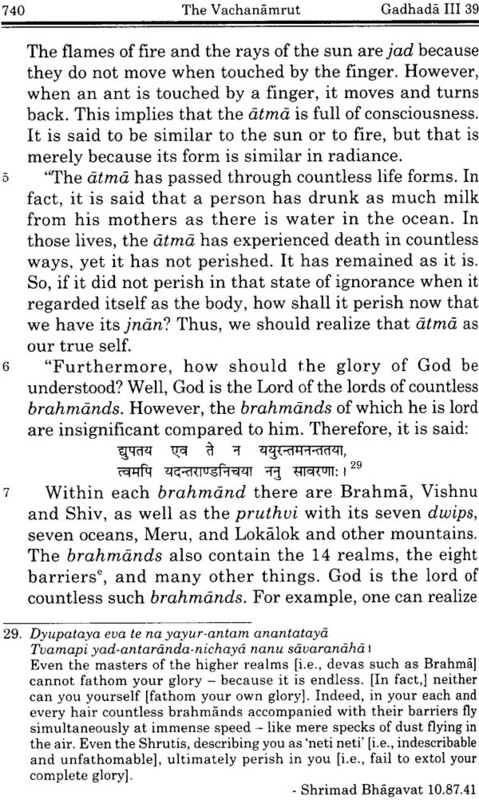 Just as ‘amrut’ has the distinct property of liberating from death all those who partake of it, the words of God similarly grant liberation from the cycle of births and deaths to all those who strive to imbibe their wisdom.